Some new footage dropped online today for Horizon Zero Dawn during Sony’s press conference that unveiled the PlayStation 4 Pro. 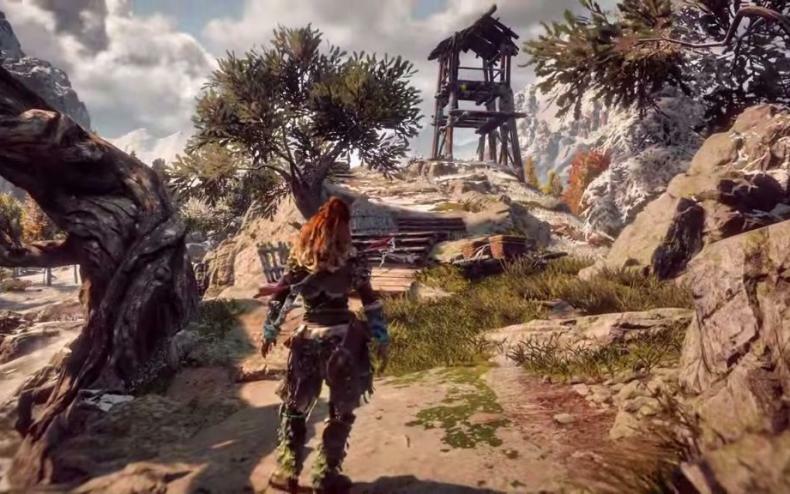 Sony PlayStation officially released a new gameplay trailer today for Horizon Zero Dawn. You can check out the new gameplay footage in the player below. The newly unveiled trailer is meant to showcase the new PlayStation 4 Pro console. The video was captured on the PS4 Pro in 4K resolution. The new footage that was revealed looks pretty impressive and eye-opening. Aloy pursues a giant robotic creature that looks as big as a brachiosaurus. She makes a daring leap to climb atop the mechanical creature and reaches the top, seemingly hacking into its mainframe to possibly collect some data. Ultimately, she rappels down from the top of the giant robot’s head to go on her way. The sequence, graphics and visuals definitely look beautiful with some amazing landscapes and environments. It looks like climbing and dealing with the terrain will be a big part of Horizon’s gameplay. In a way, it kind of reminded me of the Uncharted series. 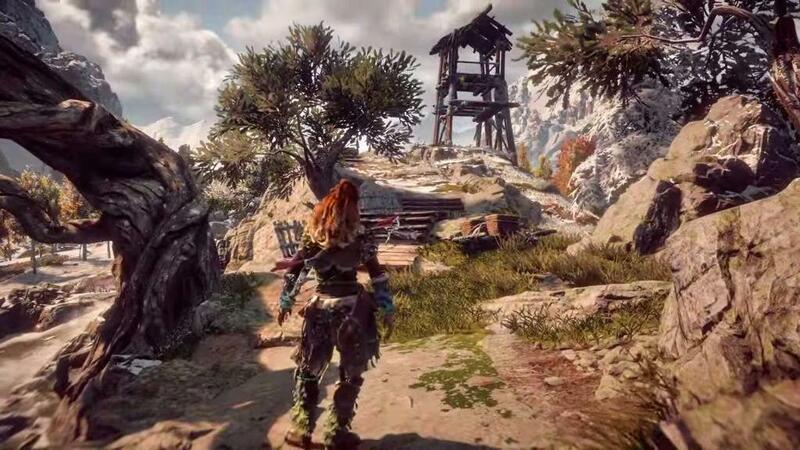 The mysteries of the world of Horizon Zero Dawn are still not clear, but it definitely looks intriguing. The game is currently slated for a February 2017 release. It will be available exclusively for the PlayStation 4.